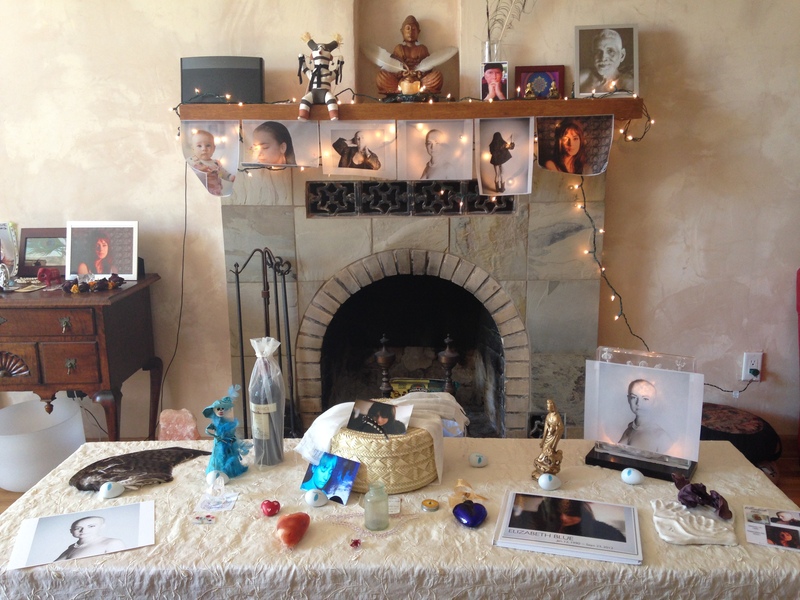 This entry was posted in All Posts, Lucia Maya's Updates, Uncategorized and tagged altars, death, Elizabeth Blue, grief, loss, memory, messages from spirit, motherhood, moving, past life, Personal, signs by Lucia Maya. Bookmark the permalink. Not nice to make me cry so early in the morning : -( I’m just kidding,it’s always good for me to cry.It comes as easily as it goes.Being reminded of my lost loves from my mother to past lovers and knowing their messages come through just makes me feel grateful that I can receive and accept them as is.Thank you for keeping us in your process.Wishing you light and love as you go. I wish you strength and courage during this very sad period of your life. You will always have Elizabeth with you wherever you go.